Good things come in small packages, and the Zero Tolerance 0022 is here to prove it. 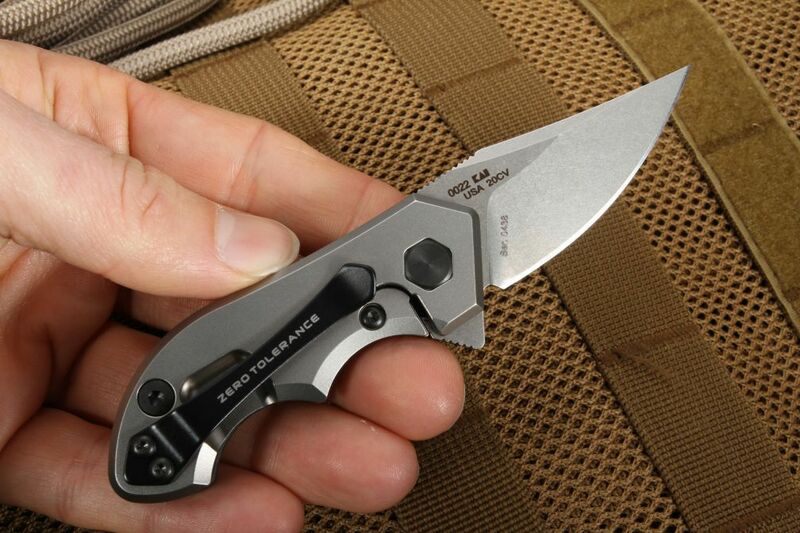 This tightly streamlined design by Tim Galyean seamlessly blends top-quality performance and a size so compact it's the smallest design Zero Tolerance Knives has ever produced -- perfect for carrying in small spaces or where every ounce matters. The knife's extreme durability and strength is perfectly balanced with convenient size and ease-of-use features engineered with the user in mind. The incredibly small 1.8" blade is made of CPM 20CV -- a stainless steel with outstanding durability and resistance to wear and corrosion. The steel has more chromium than any other vanadium-heavy stainless steel on the market today. The blade's stonewash finish gives extra protection and prevents scratches, and the blade has a thickness of 0.121" with excellent grindability for maintaining a sharp edge. This knife packs a tremendous power in a tiny package; the blade is hard enough to enable the user to tackle tough jobs, has outstanding resilience to resist wear and corrosion, and the steel is a uniquely blended alloy to maintain an incredibly sharp edge. 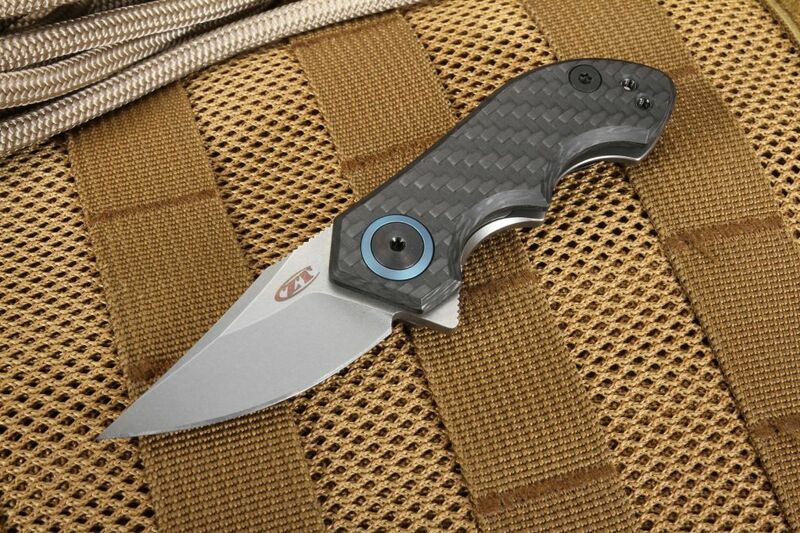 The ZT 0022's handle is a study in contrasts. Just 3" long, the design is both ergonomic and powerful, providing a naturally contoured grip without compromising on materials. 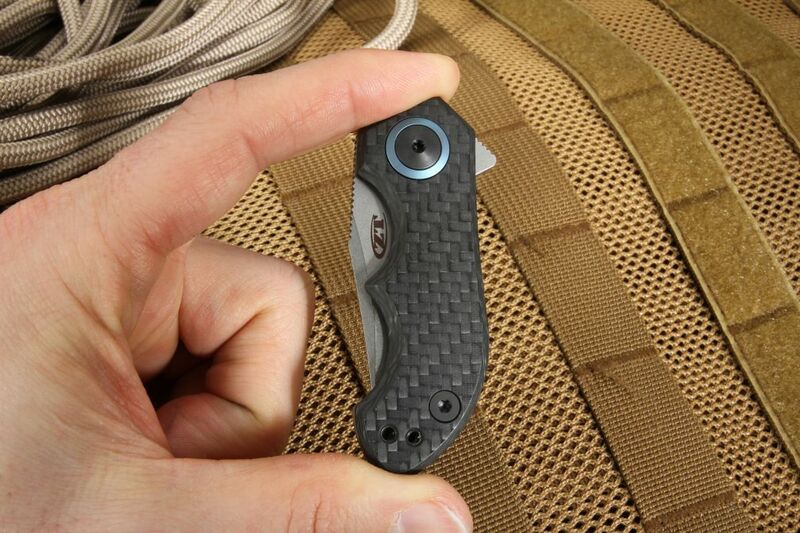 The front of the handle is carbon fiber, a ruggedly strong yet extremely light material; the dark carbon fiber is set off by a striking blue pivot and spacers. The back is titanium, which adds strength without compromising the lightweight design. 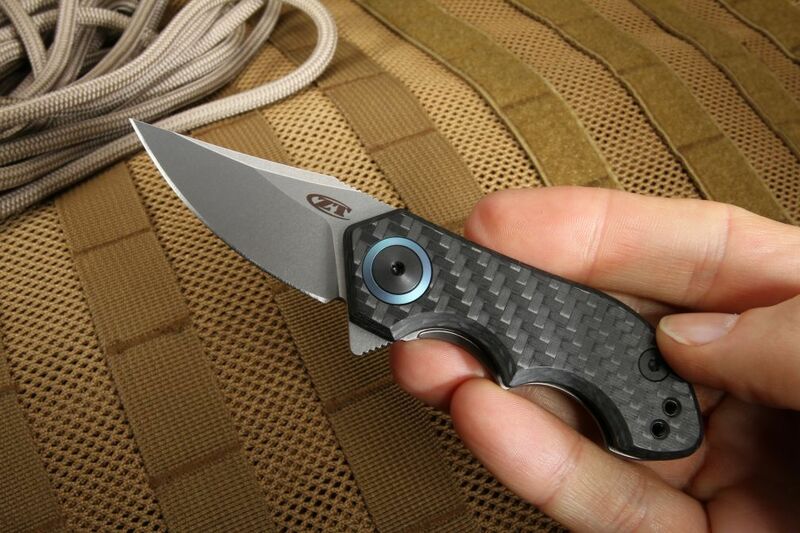 The titanium's stonewashed finish complements the blade while adding further resilience. The frame lock is also of titanium, with a lockbar insert of hardened steel. This mechanism locks the blade in an open position, protecting the user from unexpected closure while reducing wear of metal on metal. 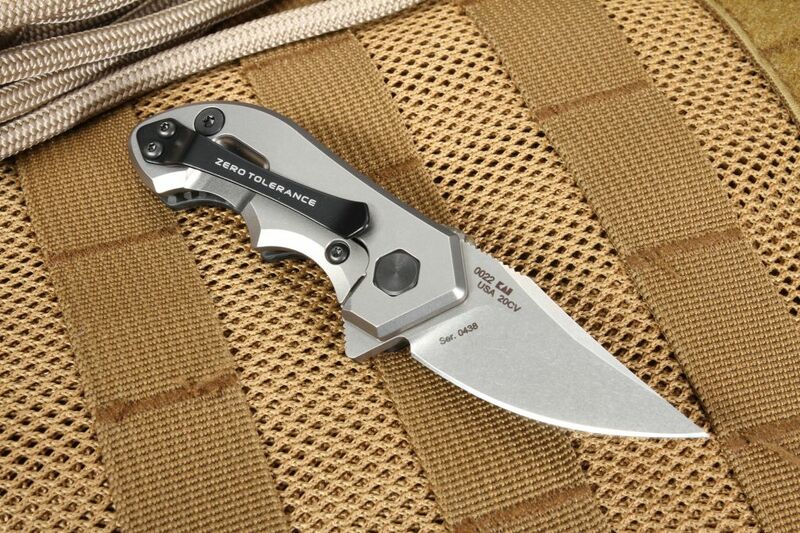 A KVT ball-bearing makes opening fast and smooth, and a flipper designed for easy use by either hand makes this a knife that works for everybody. The compact size makes this knife easy to slip into any size pocket, and a reversible pocket clip allows tip-up carrying. 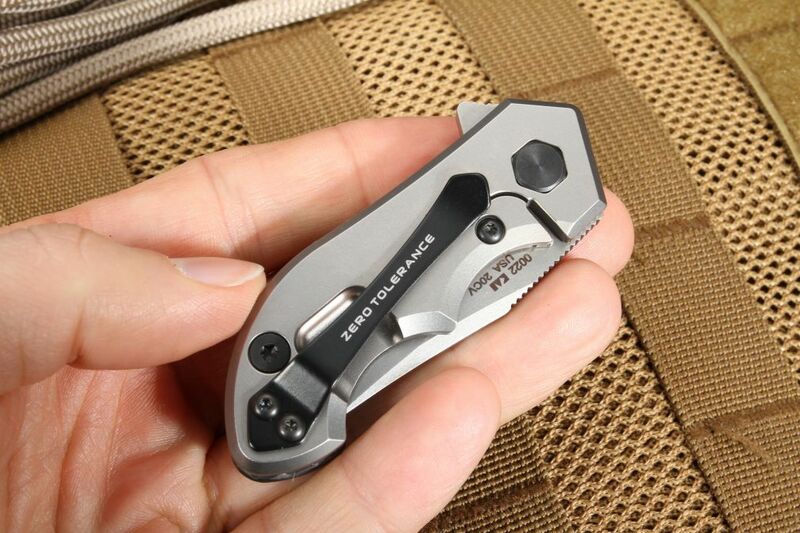 Weighing in at only 1.7 ounces, the Zero Tolerance 0022 is an outstanding piece of workmanship that combines performance and practicality, and is made in the USA from the highest quality materials tested and proven to achieve rigorous performance standards. KnifeArt.com is an authorized dealer that sells only the highest quality hand-selected knives and precision gear, and provides prompt, free shipping within the USA. All knives are backed by a solid guarantee.